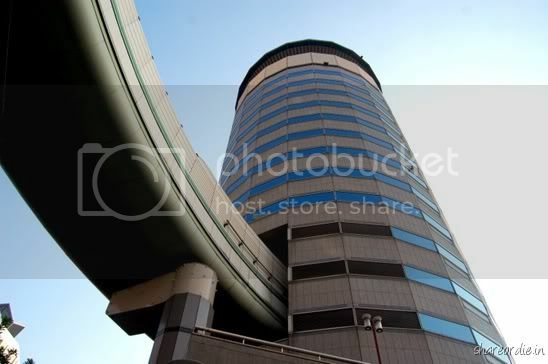 Gate Tower Building is a 16-story office building in, Osaka , Japan . And what makes it notable is the highway that passes through the 5th-7th floors of this building. 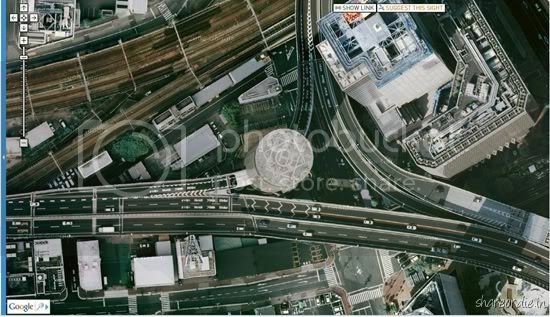 The highway is part of the Hanshin Expressway, a network (239.3 km) of expressways surrounding Osaka , Kobe and Kyoto , Japan . 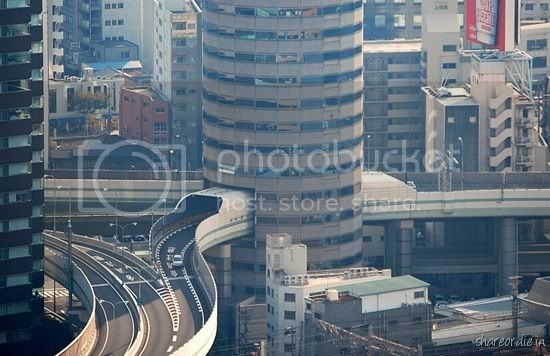 The Gate Tower Building is Japan 's first building to have a highway pass through it. And it had been nicknamed "beehive" referring to its appearance as a "bustling place". The Umeda Exit of the Ikeda Route of the Hanshin Expressway system passes through this building. The expressway is the tenant of these floors. 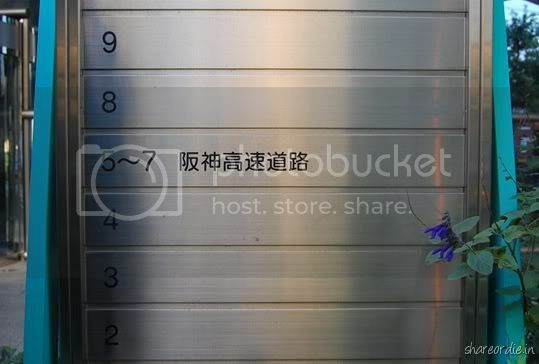 The elevator doesn't stop on floor 5th-7th, floor 4 being followed by floor 8. These floors consist of elevators, stairways, machinery and other stuff. The highway passes through the building as a bridge, held up by supports next to the building making no contact with the building itself. 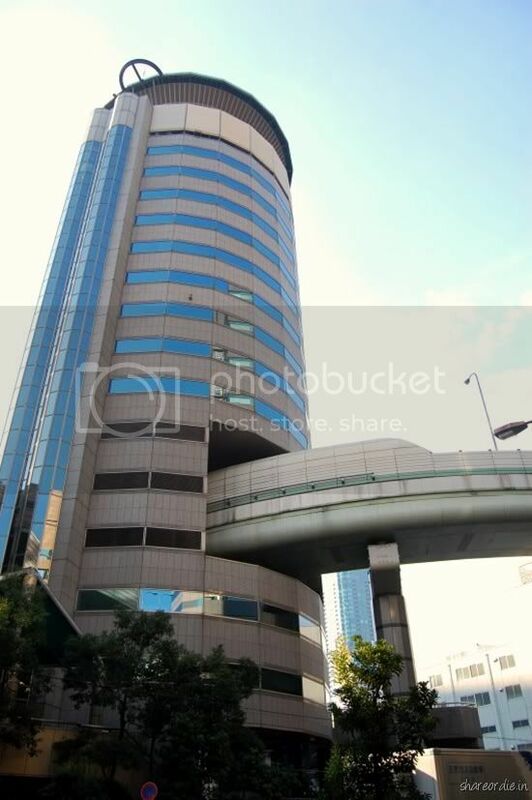 The building has a double core construction, with a circular cross section and special care is taken by providing surrounded structure to the highway to protect the building from noise and vibration. Generally expressways are built underground, and passing through a building is an extremely rare occasion. It dates back to 1983, when the redevelopment of this area was decided upon, "building permits were refused because the highway was already being planned to be built over this land. The property rights' holders refused to give up, and negotiated with the Hanshin Expressway corporation for approximately 5 years to reach the current solution."